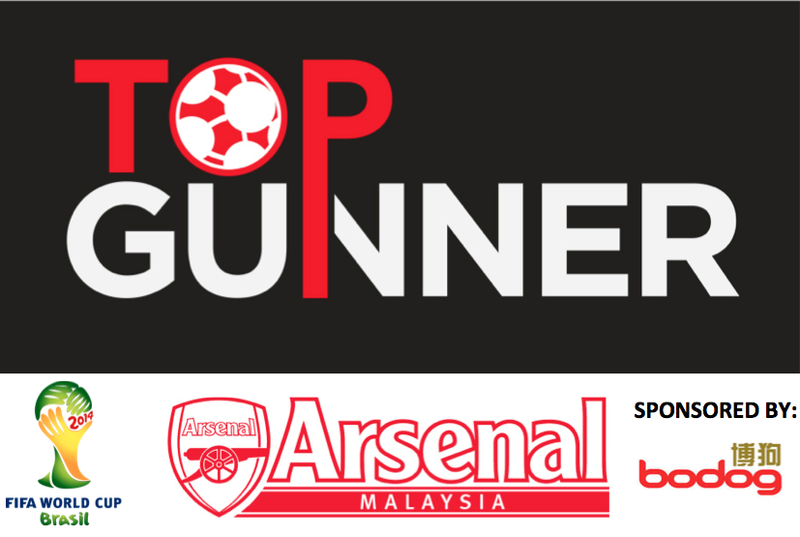 Arsenal Malaysia and Bodog are proud to bring to you a new competition call Top Gunner. Top Gunner is based on the performances of Arsenal players in the World Cup 2014. Contest is based on the real-life performance of Arsenal players in the 2014 World Cup in Brazil matches that will be played between Friday 12th June 2014 to Monday 14th July 2014. Contest is open for registration from 23rd May 2014 till 11th June 2014 (5pm Malaysian Time). 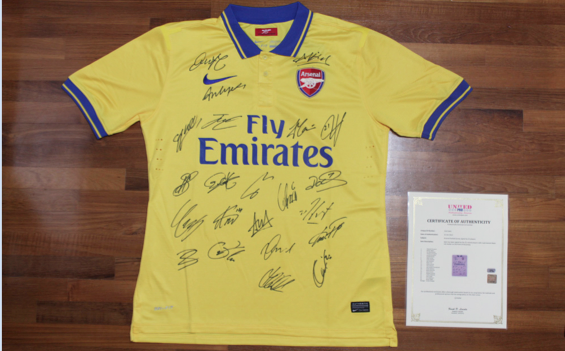 Contest is open to everyone but the top prize is reserved only for Arsenal Malaysia members. Everyone is allowed one entry as long as the accurate details are given (Full name, Valid e-mail address, valid contact number, etc). Select 3 Arsenal players who you think will earn you the most points, according to ranking as per selection below. Winner is the one who correctly guessed the top 3 Arsenal players with the most points and in the right ranking order, at the end of the World Cup 2014 tournament as stated above. In the event of a tie, the person who gets the tiebreaker question correct will be the winner. Illustration only. Actual item may vary. 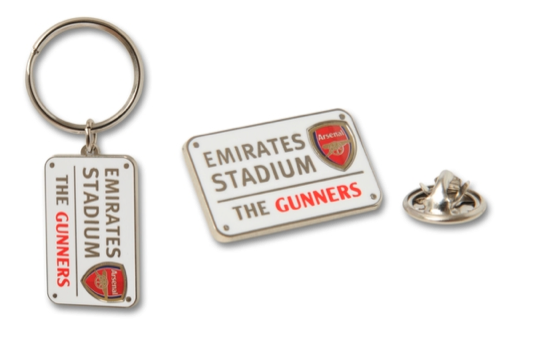 Next highest ranked 100 participants will get an original Arsenal merchandise – Street Sign Keyring & Badge set. Competition is open to Malaysian nationalities, however only registered Arsenal Malaysia members of season 13/14 can win the top prize. Any duplicate selection of players is automatically deemed to be an invalid entry. All entries must be completed on the form on Arsenal Malaysia website with correct and full information filled in. Winners will only be informed via e-mail, hence it is important to submit a valid and usable e-mail address. Arsenal Malaysia reserves the right to the change the prize, if such a need arised.